Three Vikings pals headed to Nowra for the Sprint Triathlon on 13 January to kick start 2013 …. Caroline Makin, Nicolee Martin and Kristen Leydon did us swimmers proud …. Caz finished 6th fastest overall female in the swim, Nicolee 10th and Kristen 70th from 105 female swimmers. A fabulous weekend away with lots of laughs except for the stingers in the river, but at least the very strong current made for a very very quick 750m swim! 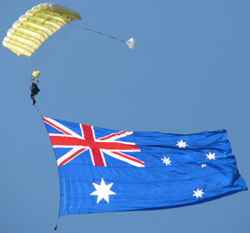 View photos on Facebook (no login required). 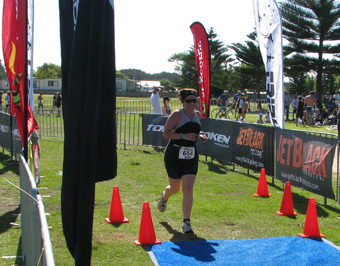 Three ambitious Vikings took on triathletes from ACT and NSW in the ‘trithebay’ Triathlon Festival at Bateman’s Bay on 2/3 April 2011. Jill Blomeley, Caroline Makin and Kristen Leydon headed to the coast on this gloriously sunny Autumn weekend to compete in this inaugural event, and what will no doubt become a must do event each year on the triathlon calendar. 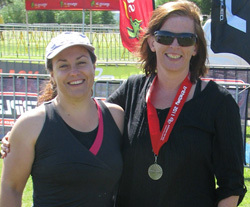 On the Saturday lunchtime, Caroline and Kristen competed in the 1km Ocean Swim Classic at Corrigan’s Beach. In the F40-49 category, Caroline Makin won the silver medal, with Kristen Leydon taking 4th place in the same category. Caroline finished 8th fastest female and 13th overall, with Kristen finishing 14th fastest female and 26th overall. 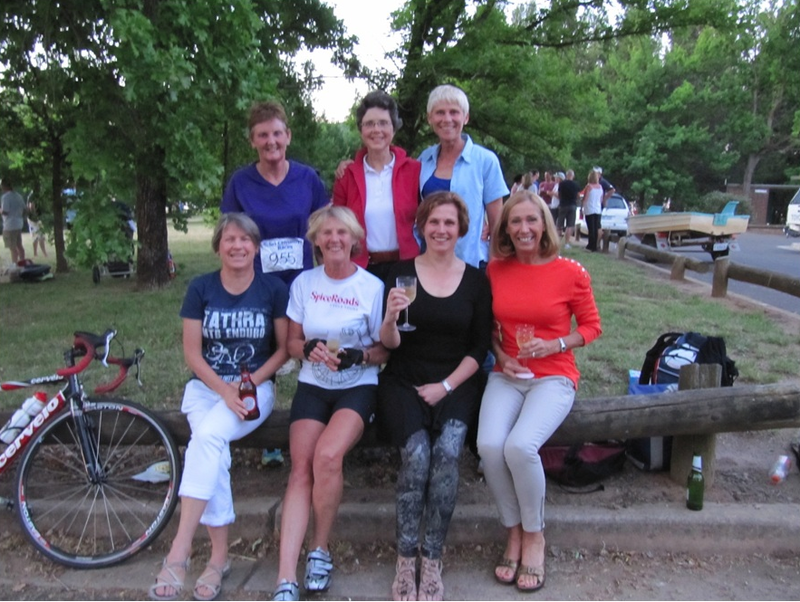 On the Sunday morning, Jill and Caroline competed as individuals, and Kristen took part as the cyclist in a team of three, in the Sprint Distance Triathlon. From the 750m swim leg at Corrigan’s Beach that overlooks the Tollgate Islands, the competitors then took on the 20km cycle alongside the beach of Malua Bay and up and down a hilly course, twice around a 10km circuit, then finally a 5km run out and back running the boardwalk along the river Clyde passing spectators in the vibrant waterfront cafes. Jill Blomeley finished in 11th place in the F30-39 category out of 23 competitors, and coming out of the water in 5th position (without the aid of a wetsuit!) in her category. Krsiten Leydon put in a stirling effort on the cycle leg for her team of three, who she agreed to help out only a couple of days earlier, as their regular cyclist (Catherine Alexander’s daughter) was unable to compete. 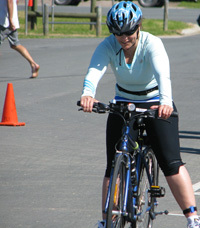 Kristen took to the hills around Bateman’s Bay on a borrowed hybrid bike and helped her team to win a bronze medal in the Mixed Teams category. Well done for a magnificent effort and set of results from these three Viking ladies! Full results are available.